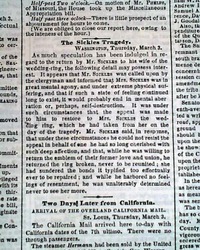 The front page has an article headed: "The Sickles Tragedy" See image for text here. 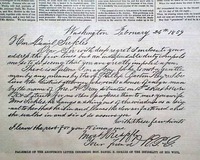 The first use of a plea of temporary insanity by a criminal defendant made the Daniel Sickles case noteworthy in American legal history. 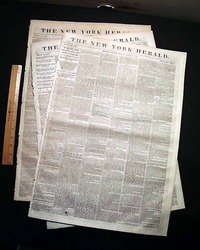 HARPER'S WEEKLY, New York, March 12, 1859 Ftpg. 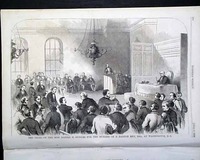 shows: 'The Last Hours of Congress, March, 1858'. Halfpg: 'Homicide of P. Barton Key by Hon. Daniel Sickles at Washington'. Nice fullpg. Homer: 'Skating At Boston'. 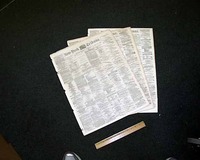 Additional illustrations, articles and advertisements are within. 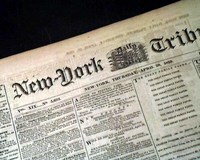 THE NEW YORK TRIBUNE, a trio of issues dated April 9, 11 & 20, 1859. 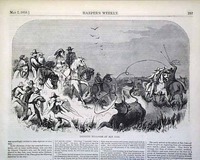 HARPER'S WEEKLY, New York, April 16, 1859 The front page features a half page illustration entitled "Opening of the Spring Fashions". 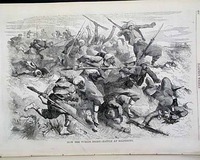 A full page illustration of "The Funeral of Emilio Dandolo at Milan, Italy."